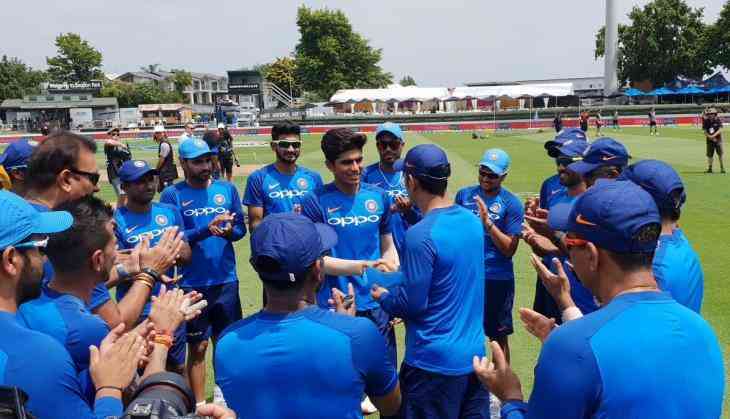 Punjab cricketer Shubman Gill on Thursday made his one-day internationals debut for India against New Zealand. The 19-year-old achieved this milestone in the fourth match at Hamilton. Gill became the 227th cricketer to represent India in in ODIs and received his debut cap from the legendary MS Dhoni. The right-handed batsman shot to fame last year after he helped his team win the U-19 World Cup in New Zealand. Gill was named the Player of U-19 World Cup with most number of runs in the tournament. Gill scored a total of 372 runs and was named the rising star of the squad by the ICC. Gill made his first-class debut for Punjab in the 2017-18 Ranji Trophy on November 17, 2017 and scored his maiden century in the same month in what was his second match. Gill has amassed a total of 1089 runs in just 9 first-class matches at an average of 77.78. However, his team India debut didn't go well as he scored on 9 runs in the 21 balls he played.